Welcome to our very first sketch of October! Let's embrace a new month of creativity. Below you'll find Sketch 301. Create cards, scrapbook layouts, home decor, treat containers, mixed media, etc. using this week's sketch and be sure to link your project below for a chance at the weekly My Favorite Things Gift Voucher worth up to $20. 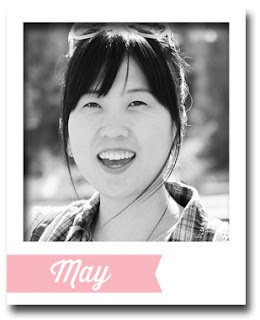 Join me in welcoming May Park as our Guest Designer this month! May envisioned a big clock counting down to the big day for Jolly Old Saint Nick when she looked at Sketch 301. This adorable guy and his sleigh full of goodies is a part of one of our brand new stamp sets from the October release — Merry Everything. Adorbs! The My Favorite Things Creative Team has been busy getting creative! Let's see what they have up their sleeves for Sketch 301! 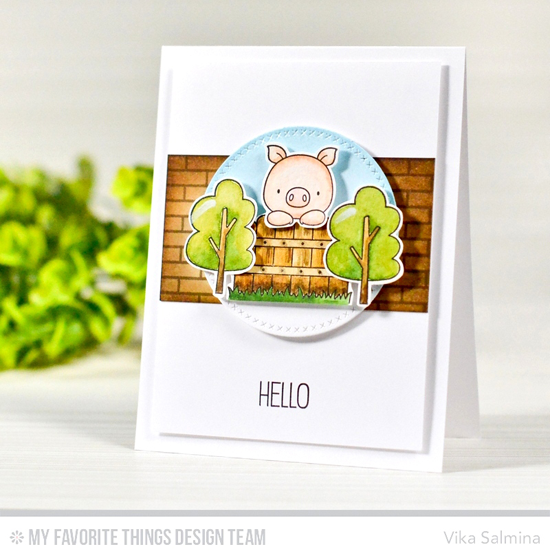 One of our newest designers Vika Salmina joins us for this week's sketch with an adorable card featuring a darling pig from the Hog Heaven stamp set peeking over a fence for a friendly hello. Her use of the Small Brick Background mirrors the horizontal rectangle of the sketch perfectly! 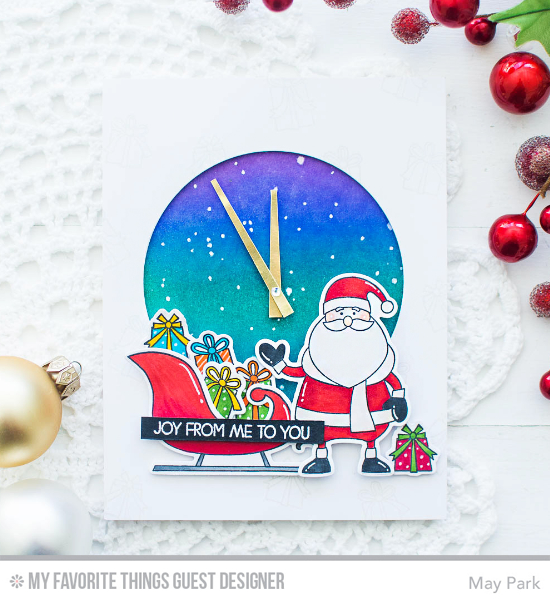 Anna is sharing some holiday spirit with the Santa's Elves stamp set on this cheery Christmas card. I love how she used the Sun Ray stencil to make the focal point circle shine. It's never too early to start Christmas cards, right? Julia's pretty card shows the many options of Sketch 301. With a pretty patterned paper background and a soft vellum overlay, she layers up a cozy Christmas scene with delightful snowflakes and homey buttons. The twine bow is another way to add texture to your designs. I love what Barbara did with this design! 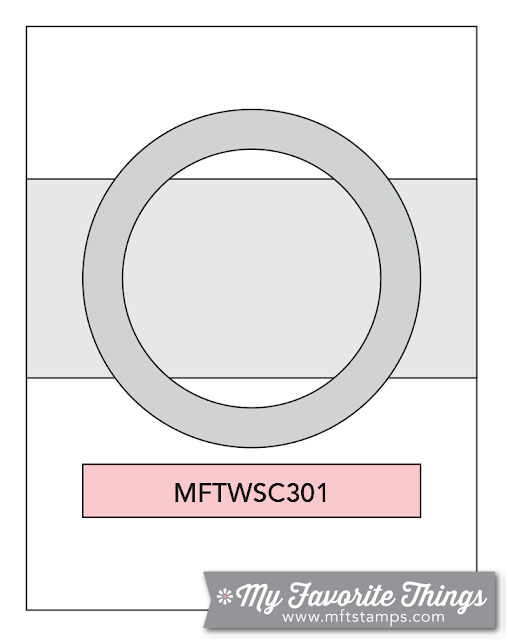 The grass and fence span the width of the card as represented by the rectangle on the sketch, but the addition of the circle draws your eye to the cute creatures from the The Whole Herd stamp set, and she "traps" the sky inside her circle. Super inspiring take on this sketch! Joy widens the sketch to a horizontal design and creates a unique "line" with the trees that flank the frolicking focal point Santa. So cute! The Snowfall - Vertical Die-namics adds fun interest to the center of her circle. Congratulations, Kathy Straw! You are the randomly selected winner of last week’s sketch challenge. You can view all the entries for last week’s challenge HERE. You have until Tuesday, October 11th, at noon EDT to add your link and be eligible for the prize of up to $20 in MFT Cash to be spent in the MFT boutique. Winners are chosen at random, so everyone has a chance! The weekly prize is a $15 Gift Voucher to My Favorite Things, but if you use MFT stamps and/or dies in your project, you’ll receive an extra $5. So glad May is guesting here!!! Gorgeous works! Thanks to all girls for such inspiration!